Does conflict make the world go ’round? No, according to The Stylistics (save a click: they say that people do). But conflict sure keeps things interesting, and it undoubtedly also keeps attorneys and their clients on their toes. In a recent decision,1Ham v. Portfolio Recovery Assocs., LLC, 2018 WL 6253294, ___ So. 3d ___ (Fla. 3d DCA 2018). Florida’s First District Court of Appeal has issued an opinion that stands in direct conflict with a fairly recent decision out of the Second District Court of Appeal, the latter of which I recently wrote about. The conflict between the two appellate decisions is interesting, considering the vast similarity of the facts underlying each of the cases. If you haven’t read my earlier post, I’ll briefly summarize the facts of the case: A debt buyer purchased a consumer’s delinquent credit card account from an original credit card company. The debt buyer sued the consumer under a theory of account stated. The consumer prevailed (won), and thereafter sought an award of attorney’s fees and costs from the debt buyer, under a theory of reciprocal entitlement pursuant to a unilateral fee provision found within the original cardmember agreement and Florida Statutes § 57.105(7).2If a contract contains a provision allowing attorney’s fees to a party when he or she is required to take any action to enforce the contract, the court may also allow reasonable attorney’s fees to the other party when that party prevails in any action, whether as plaintiff or defendant, with respect to the contract. The 1st DCA rejected the consumer’s argument that the cause of action and the underlying credit card agreement were “inextricably intertwined,” which would allow for attorney’s fees under the contract, an argument premised on a Florida Supreme Court opinion3Caufield v. Cantele, 837 So.2d 371, 378 (Fla. 2002). from 2002. Notably, in that case, the contract provided for mutuality of attorney’s fees, so § 57.105(7) was not at issue there. So what the 1st DCA has done is it has created a brightline rule that is the plaintiff’s choice of remedy is king in this analysis. Essentially, if the plaintiff did not plead a cause of action premised on the existence of a contract (breach of contract), then a prevailing defendant cannot recover attorney’s fees under a contractual provision providing such, even if the debt being sued on originally arose from a contract. Compare this with the 2d DCA’s ruling, which allows for a prevailing defendant to peek behind the plaintiff’s cause of action, and allowing recovery under § 57.105(7) if there is a contract with an attorney’s fee provision. I do think that a plain reading of § 57.105(7) could reasonably support either argument, so it will be interesting to see what the Florida Supreme Court does with it when this issue arrives on its doorstep. The 1st DCA certified conflict with the 2d DCA’s ruling so this issue may be resolved after not too many more “go-rounds” of the world. 1. ↑ Ham v. Portfolio Recovery Assocs., LLC, 2018 WL 6253294, ___ So. 3d ___ (Fla. 3d DCA 2018). 2. ↑ If a contract contains a provision allowing attorney’s fees to a party when he or she is required to take any action to enforce the contract, the court may also allow reasonable attorney’s fees to the other party when that party prevails in any action, whether as plaintiff or defendant, with respect to the contract. 3. ↑ Caufield v. Cantele, 837 So.2d 371, 378 (Fla. 2002). In a 2018 case1Bushnell v. Portfolio Recovery Assocs., LLC, 2018 WL 4374251, 255 So.3d 473 (Fla. 2d DCA 2018)., Florida’s Second District Court of Appeals has held that a consumer who successfully defended a lawsuit filed over a defaulted Amazon.com credit card debt may recover her attorney’s fees from the creditor who did the suing. After retaining an attorney and opposing the debt buyer’s allegations, the debt buyer chose to voluntarily dismiss its lawsuit. As the “prevailing party” in the action, the consumer sought an award of her attorney’s fees and costs from the debt buyer. The trial court denied this request and the consumer appealed. In an earlier post, I touched on the American Rule, which is the general rule in litigation requiring all parties to bear their own attorney’s fees and costs. This rule applies unless a statute, procedural rule, or contract provides otherwise. In this case, the contractual exception to the American Rule existed, in that the cardmember agreement between the consumer and the creditor behind the Amazon.com credit card provided that the creditor could recover its attorney’s fees as part of its collection costs if it “ask[ed] an attorney who is not our salaried employee to collect your account.” Further, Florida has a statute2Florida Statutes § 57.105(7) that makes unilateral contractual provisions allowing one side to recover attorney’s fees (as it was here), reciprocal to both sides of the contract. Why is this notable? Suing under a theory of account stated does not typically require there to be a written agreement between the parties. An account stated theory can be brought merely upon allegations that a debtor received an account statement and failed to object to the accounting therein. 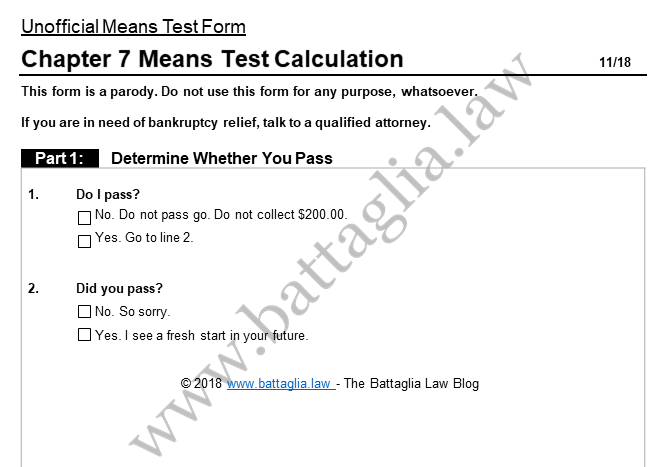 So, in the absence of a written instrument providing for attorney’s fees, a prevailing party suing under an account stated theory generally cannot recover attorney’s fees. In this case, the Second DCA held that, regardless of the plaintiff’s cause of action, if the suit is brought to collect amounts due under a written agreement and the defendant prevails, the contractual right to recover fees and the reciprocity provision of 57.105 should apply. 1. ↑ Bushnell v. Portfolio Recovery Assocs., LLC, 2018 WL 4374251, 255 So.3d 473 (Fla. 2d DCA 2018).